Think there's no greater hassle than planning an event? Try running an event abroad. Whether it's a conference, festival, or networking dynamic, when managing an international event, you have to show ten times more mastery and higher performance. It's much more work and much less certainty. In addition to having to navigate unfamiliar environments and handle the extra stress, you'll have to face multiple challenges. From understanding the local business customs to getting help with value-added taxes, the uncertainty factor may take over your self-confidence and paralyze your actions. However, there's nothing more relevant, yet troublesome, than finding trustworthy suppliers. Whenever you're planning local events (whether it's your city or country), you're one step ahead of the game because you already have a list of dependable vendors. When you're planning an event abroad, on the other hand, you must dedicate a big chunk of your time to finding reliable event suppliers - venue, catering, audiovisuals, decorations, communication consultants, photographers, and graphic designers, to name just a few. One of the biggest mistakes planners make when it comes to running international events is to undervalue the local expertise. Yes, planners have in-depth knowledge about event planning and marketing. However, they tend to falsely assume that means they’re also experts in event planning and marketing in unfamiliar destinations. Nothing could be further from the truth. Think about yourself. Would you say you have a detailed understanding about a different city, including its cultural knowledge, legislation, and local customs? If you have neither lived nor planned events in a different city, chances are you have a meager grip of what that city is really like. Considering yourself an expert in an unfamiliar city can lead to a series of challenging issues, such as engaging the services of low-quality event suppliers. Local expertise plays a key role in being the intermediate between the organizers and the destination itself. That’s why the first step you should take before planning an international event is to partner with the local expertise and wisely leverage the local infrastructure. If you don’t know what your specific needs are and how to explain them, you’ll likely end up having communication issues. You may think you’re being clear, when actually your message is muddled, misinterpreted, or misunderstood. To keep this from happening, you must detail every single aspect of your planning process and verify all online and face-to-face communication with the event suppliers. If necessary, repeat things back to people and ask for confirmations. Don’t worry about looking stupid. It’s more important to make sure you’ve found international suppliers that can cover all of your event-planning needs. Before choosing an international event supplier, make sure this vendor has enough social proof to showcase its expertise. However, if you’re in a rush or for other reasons, you may skip this part, thinking, "They’re probably fine." This mindset could lead to big problems down the road. What if that supplier is a scam artist? Or doesn’t have event experience and can’t meet your expectations? Always double-check a supplier’s portfolio, and if possible, ask for references or reviews from other (international) clients. It’s always tempting to take care of everything via phone or email. 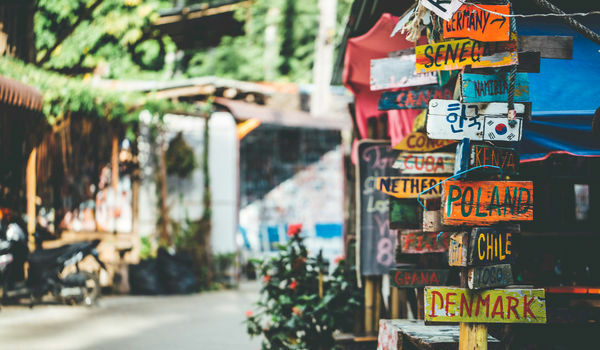 Why go through the trouble of booking a ticket and flying to another country to plan your event when you can plan everything right from your desk? Wrong. No matter how well you communicate with your event suppliers, there are always things you must check on firsthand. For example, you can’t rely only on photos to truly understand the capacity of the event venue—you need to see the space for yourself. Nor can you just “trust” the catering is good without actually tasting the food yourself. Make the effort to engage with your event vendors face to face. You won’t regret it. This is the mistake that can really get you in trouble. Overlooking the contract details and the responsibilities that the event suppliers assume may transform into serious legal issues. That’s why you need to make sure you thoroughly understand both local legislation and business customs. If necessary, ask for the help of local expertise, or even a lawyer. Planning an international event means playing in the big league. The number of responsibilities and headaches will skyrocket, and you’ll be more susceptible to making mistakes. However, if you try to be mindful of potential mistakes and work hard to avoid them, you’ll definitely be one step closer to running a successful international event.